The $80 million terminal modernization project at Port Columbus International Airport is moving along right on schedule. Concourses A and C are complete and Concourse B will wrap up this month. 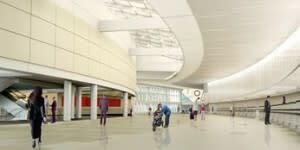 Work will continue in the ticket lobby and baggage claim and the project is expected to be complete in March 2016. A modernization project wouldn&apos;t be complete without an upgrade to technology. The new Wi-Fi system being implemented will provide travelers fast, reliable and free connectivity throughout the airport. The $1.2 million upgrade will triple the current bandwidth and increase the coverage by seven times. 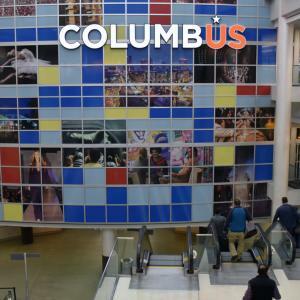 The new network will be able to offer passengers an average speed of up to 12 megabits per second, which Port Columbus says is faster than what is offered in the nations seven busiest airports, as reported on July 24 by Skift.com. As one of the first airports in the nation to offer free Wi-Fi to passengers, this upgrade is necessary to continue to offer a superior traveler experience and to keep passengers conveniently connected, whether traveling for business or for pleasure. 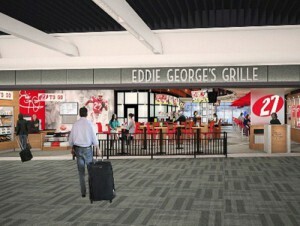 Along with the modernization project, Eddie George, Ohio State football legend turned restaurateur, opened his signature restaurant, Eddie Georges Grille 27 in Concourse B this summer. The upscale restaurant, filled with sports-themed memorabilia, offers a panoramic airfield view, full table service, a full bar and a grab-and-go counter. The state of the art high-definition TVs and the local Columbus flavor brought to the airport at Eddie Georges allows travelers from all over the country to indulge in good food and a love of sports that make you feel like you are right on the sidelines at Ohio Stadium. With 150 direct flights flying out to 34 different cities every day, including Southwests newly launched direct daily flights to Washington D.C., San Francisco Bay Area (Oakland), Boston and Dallas, the completion of this project will increase efficiency and enhance the many aspects of the travelers experience. You can stay up-to-date with all of the changes and timelines for the Terminal Modernization Program here.